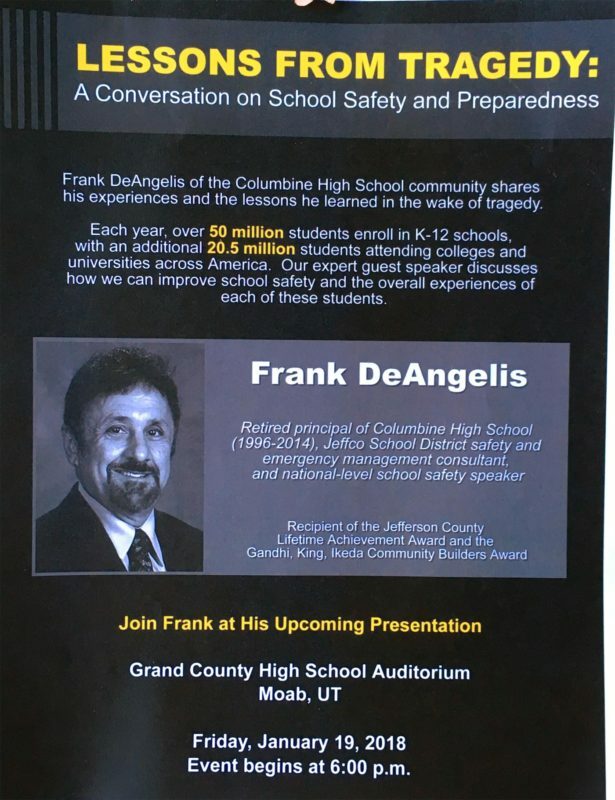 We are lucky to have Frank Angeles to speak here in Moab. He’s making a special trip from Littleton, not just stopping over. His message is one of coping and healing from a monstrous act of insanity. My imagination is grossed out quickly even thinking about it. Plan to be here if you want inspiring insight to strength and bravery. Move over, rafting! It’s biking time!